Stationary List for the Academic Year 2019! 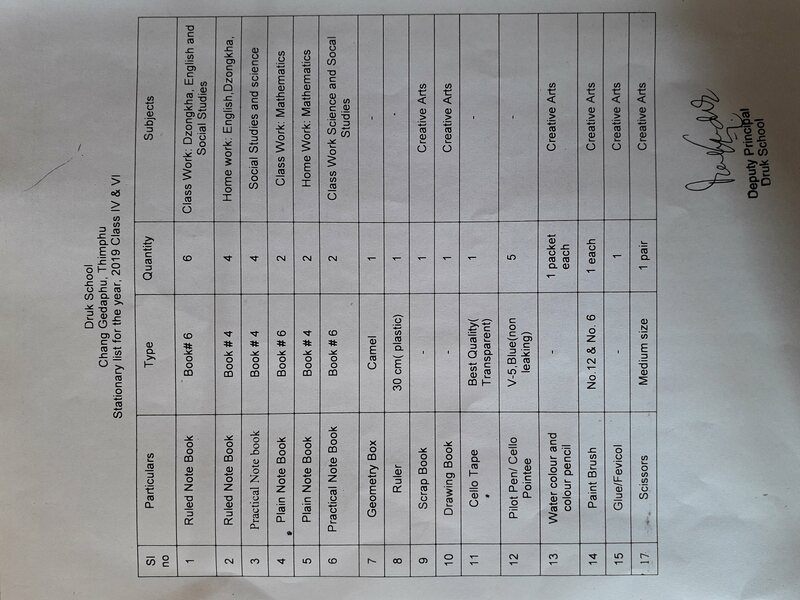 Stationary list for various courses for the academic year 2019. 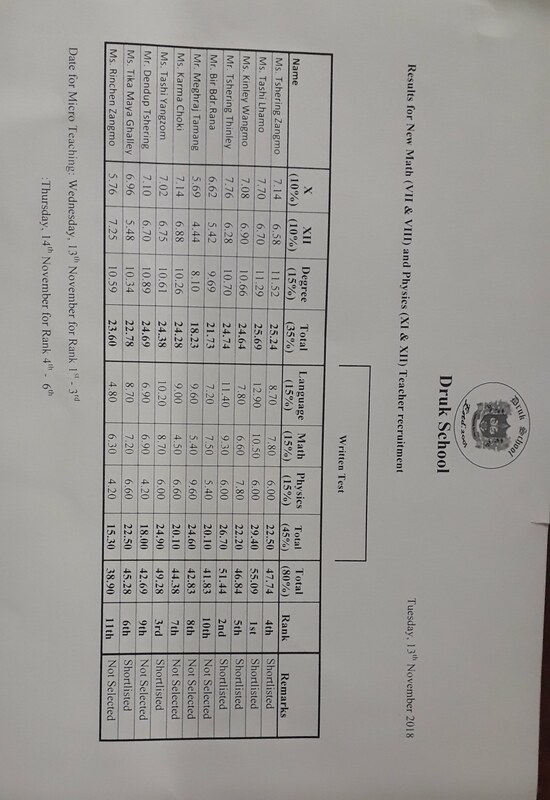 Announcement Written Test Result for Math and Physic teacherPlease notes the following dates for micro teaching:Wednesday, 13th November for Rank 1st-3rdWednesday, 14th November for Rank 4th- 6th HOD, Druk School. 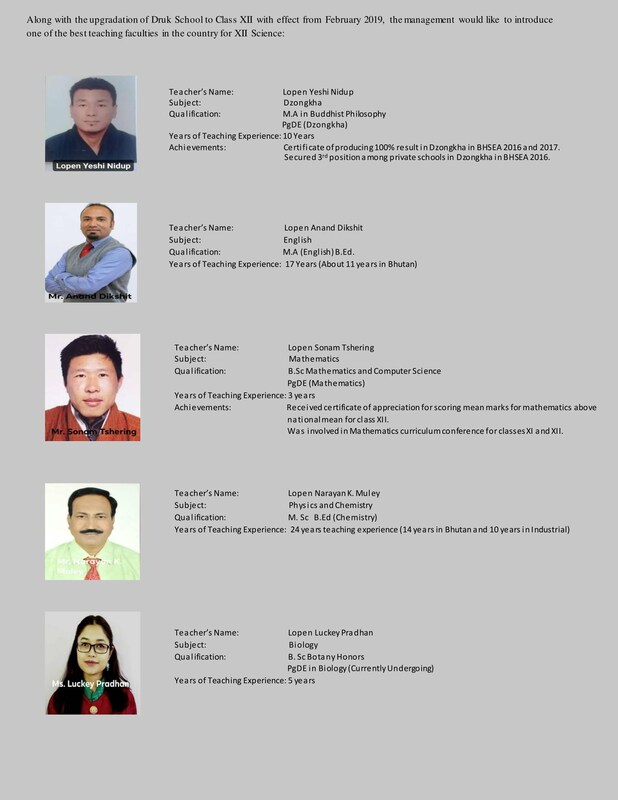 Shortlisted Candidates as per the Vacancy announced in Druk School Website on 12 Oct,2018 We would like to thank all who submitted their application. 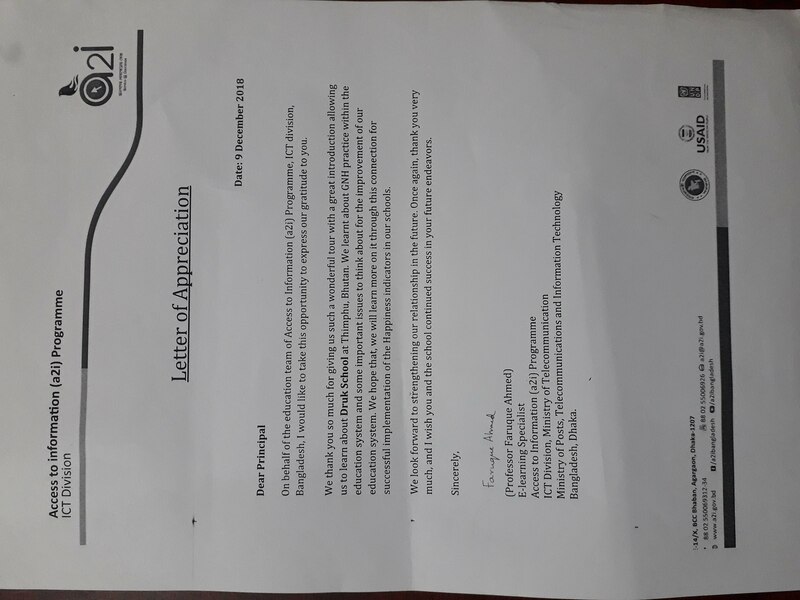 Highly Appreciated! !we've the pleasure to upload the first list of shortlisted candidates. These Shortlisted candidates would be approached directly by the HODs for the interview dates and time. 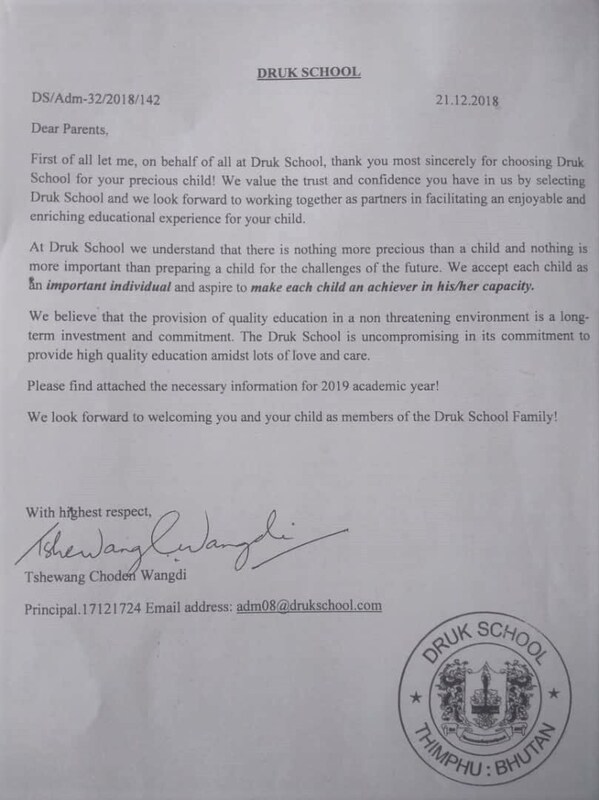 Thank you, HRO, Druk School. HAPPY DIWALI! 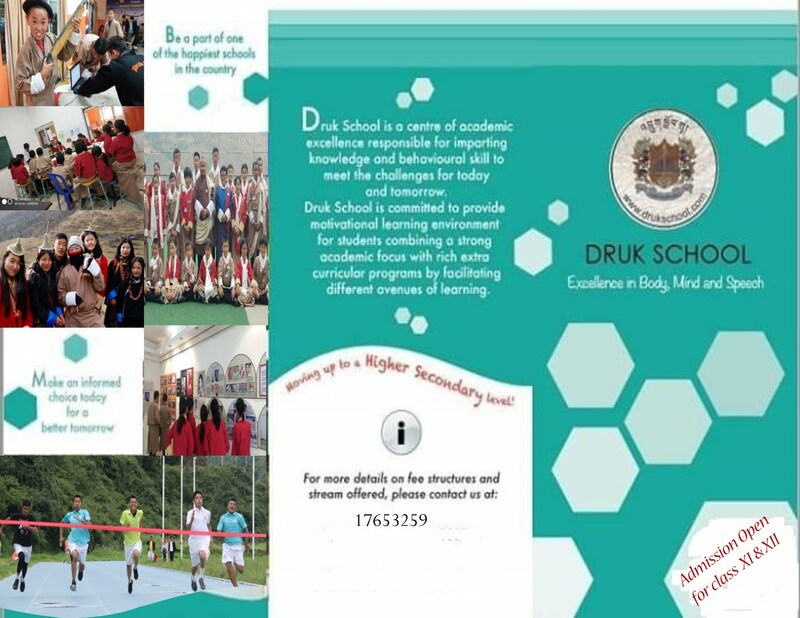 Druk School would to wish all the students and parents the Most Auspicious and Happy Diwali! Druk School's Class X made the long journey up to Laya in October to attend the Royal Highlander Festival.